So today, i turn on the computer and log onto my user account, and guess what! 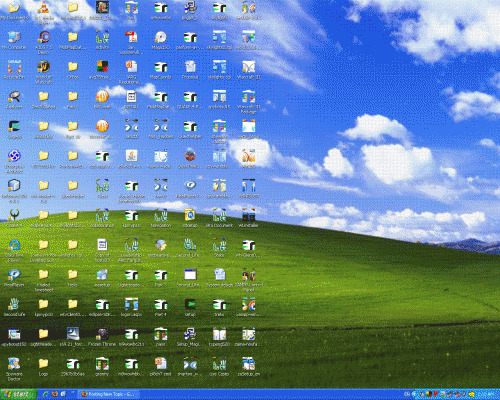 i see most of the icons on the desktop messed up. i tried logging in on another user account, and everything seemed normal. After you have downloaded it, open the program. In the bottom where you see a little hammer, click on it. Then click on Flush Icons and then go. They should work. If it doesn't then you can always try selecting Explorer/IE/Oe/shell/WMP on Dial-a-fix and then clicking GO. This should fix it, if it doesnt, then its most likely your Registry that is corrupted. Thanks alot, The first option worked, even without rebooting, but i rebooted anyway.